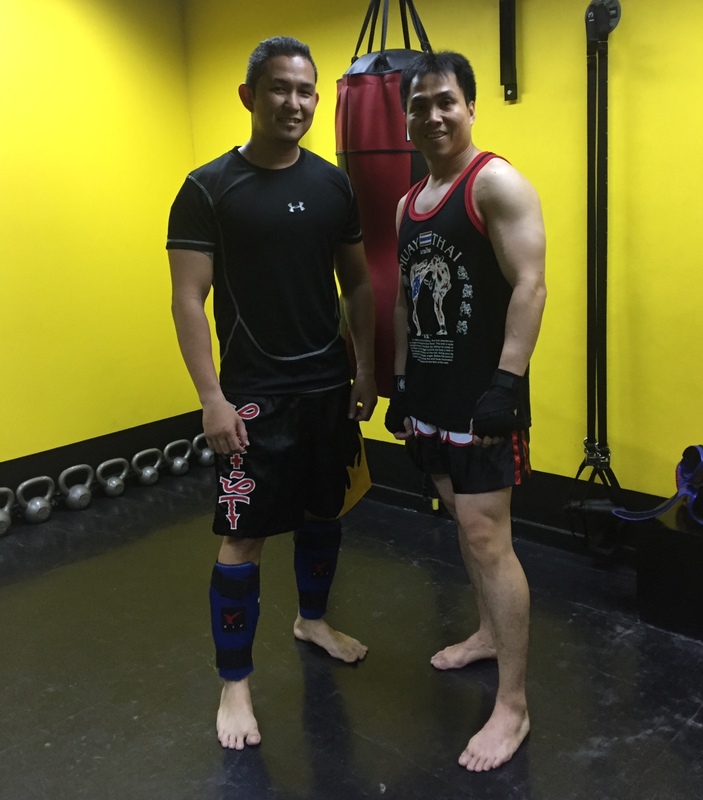 Musings of an over 40 Muay Thai newbie who never had any martial arts experience up until his midlife introduction to Yaw-Yan (Filipino kickboxing with similarities to Muay Thai) and boxing. Probably midlife crisis but loving it! Did some boxing to supplement his Yaw-Yan, which saw him train under Ricky Hatton’s Hatton Academy. Also, had the pleasure of throwing punches and sweating out at KMA Fitness & Martial Arts and Elorde Makati. Would hit pads with Ian, his Yaw-Yan coach, trusted pad holder, and friend every so often. Muay Thai (shadow, heavy bag) solo on most days of the week, in addition to cardio and strength training sessions. Lucky (and prefers) to fly every now and then for authentic Muay Thai training. Why Muay Thai? Primarily for fitness, stress relief, and never-ending challenge. Lately, as a bonding opportunity with his daughter. The self-defense aspect is unintended, but of course, it is inevitable. Muay Thai is painfully fun too. No pain, no Muay Thai! Why authentic Muay Thai? The quality of training and instruction from the source is incomparable. Has done competitive powerlifting, bodybuilding, and kettlebell sport. Is there still time to transition from an enthusiast to a nak muay? Age, wear and tear are difficult to overcome but will try. Muay Try! Thanks, Jamal. Thank you for sharing your knowledge through your Fairtex courses. Cheers!